Hello friends! 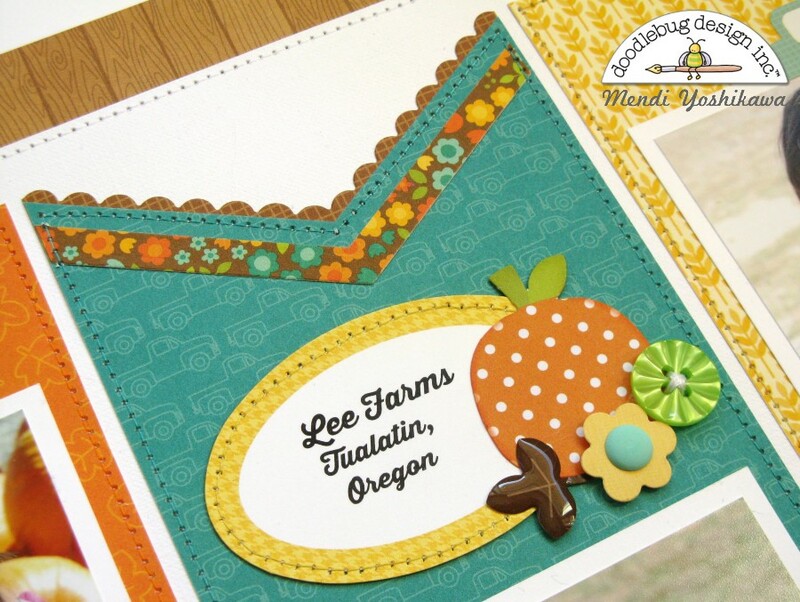 It's Mendi here today with a couple of layout using the darling new Flea Market collection. There are so many fun images and great ways to use this line, that I was having a really hard time deciding which direction to go with my project. To solve my internal struggle, I decided to create two layouts with pretty different looks. For my first layout I wanted to focus on all the happy sunflower images in the collection and pull them together to compliment some photos of mine from a couple years ago. 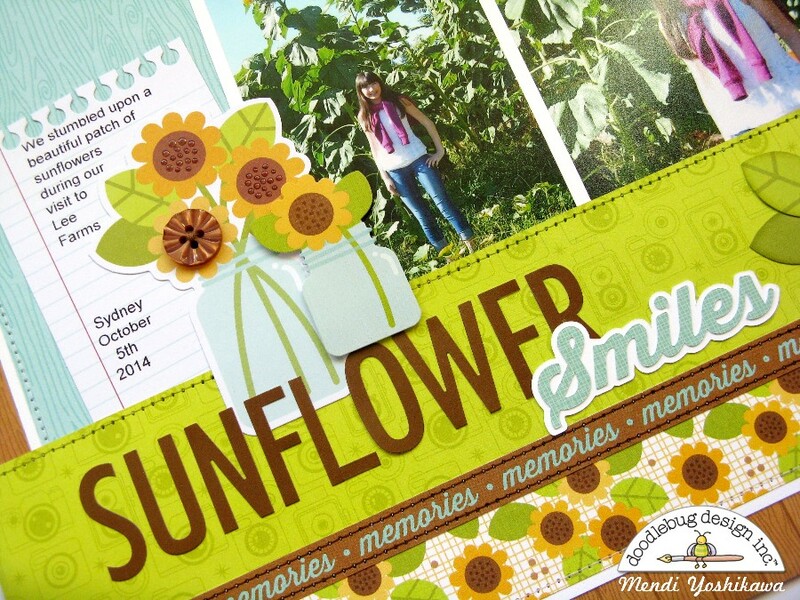 I wanted to find a way to incorporate the sunflower paper, but I also wanted to make sure it didn't overpower my page and become too busy. To achieve a balance, I used it in smaller border strips along the top and bottom which I think is a great solution for those who love the A side of papers, but then struggle to actually use them. 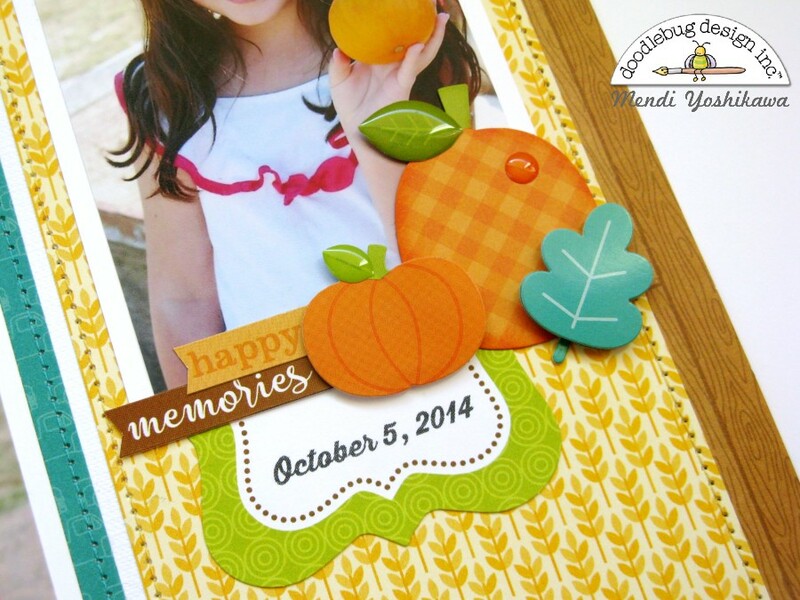 For my blue woodgrain background I utilized the "Our Happy Place" paper that's perfect for framing as a home decor piece and carefully covered the images in the center with my photos and journaling card. 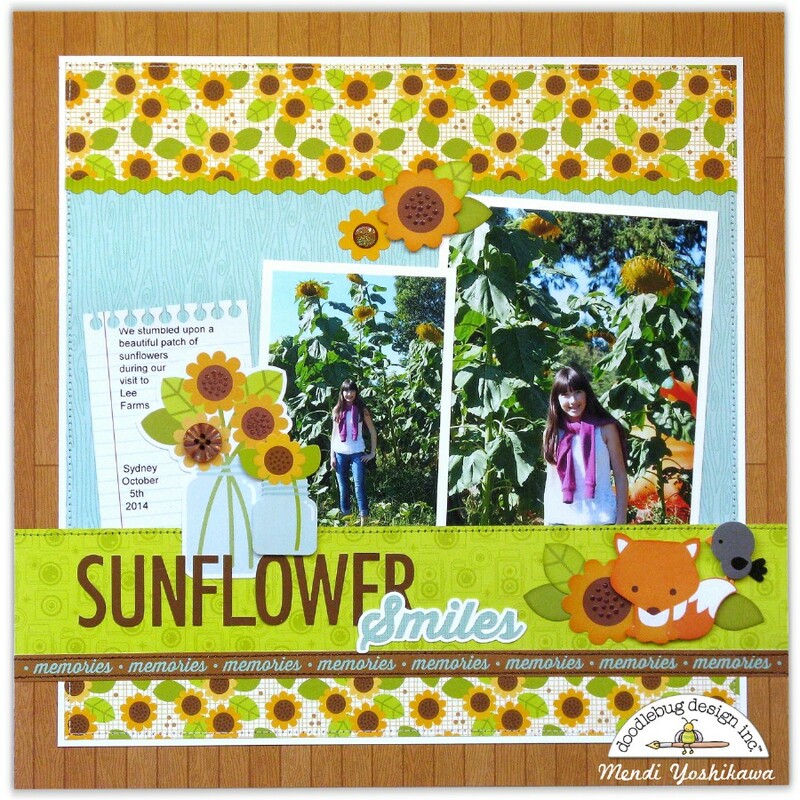 When my layout was nearly finished I felt like it needed a little extra bling to bring it to life so I added Glossy Accents to all the polka-dots in the center of each sunflower die-cut. It's so easy to do and I think it added some great texture to my finished page. For my second layout I wanted to create something that was really different from my first page, but still have the two pages share an element so that they would compliment each other in my album. To achieve this I chose to use the Barnwood paper as my background on both. 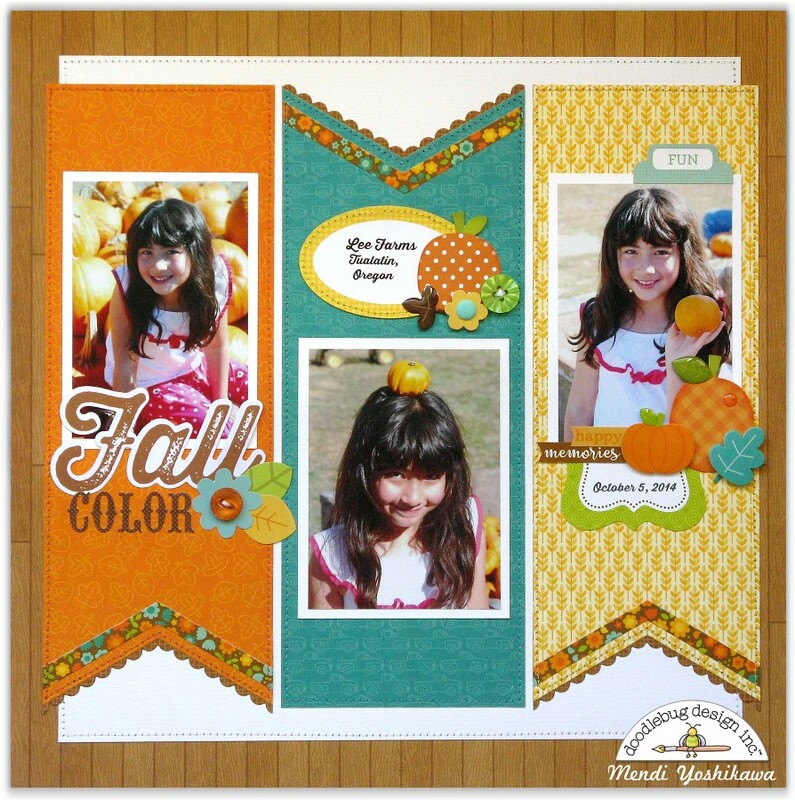 To create the banner ends for each of my three strips I used the two Fishtail Banner die sets I designed for Sunny Studio. These dies can create banners in a variety of sizes up to 4.25" wide and were just what I needed for the PageMaps sketch that inspired my layout. 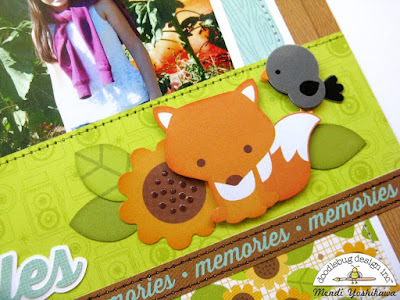 I had so much fun using all the awesome new cutouts, stickers and sprinkles from the collection to create three embellishment groupings for each of my banner strips. The new Labels and Tags sets that Doodlebug is releasing with each of their new collections are perfect for recording your journaling and extra details on. I love how the matte surface is so well suited for printers too! Thanks so much for stopping by. I hope you will come back each day to see all the fabulous ideas the team is sharing with this wonderful new collection! 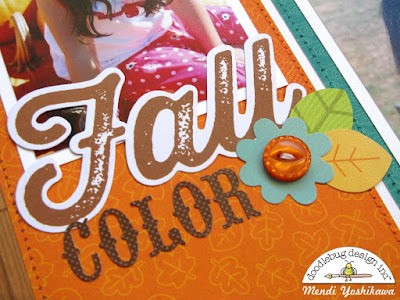 Wonderful pages Mendi! Isn't this collection the best?!! !